Zorica Vojinović manages design and implementation of the Electoral Legislation Reform Program at National Democratic Institute for International Affairs (NDI) in Belgrade, Serbia. She possesses more than 6 years of extensive experience of working on international democratization projects primarily funded by USAID and/or Norwegian Ministry for Foreign Affairs. She is also working as a short term consultant for Office for Democratic Institution and Human Rights (ODIHR) for Election Observation Missions worldwide. 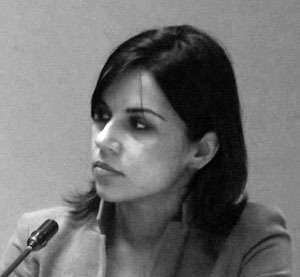 Ms Vojinović holds an MA in International Affairs from University of Belgrade, Faculty of Political Science. She is fluent in Norwegian, English and French.